Comments Off on Home Appraisal Basics: What is Real Estate Appraisal? 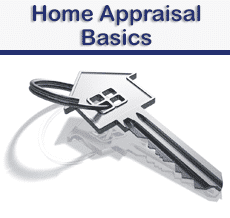 A home appraisal is the process by which the fair market value of your home is assessed. A real estate appraisal is an essential component of the process of selling a property or refinancing it. Fundamentally, a state-licensed appraiser will utilize the data available to estimate your home’s current market value. This data can come from a number of sources, and includes its location, size and state of repair, and also the market value of similar homes in your area. You are unlikely to get a loan on a home without one, and also unlikely to get a mortgage to purchase a home that has not first been appraised. An assessment is made of the market cost of the land which you own with respect to your home. If you own an apartment then that might be irrelevant, but if you own a ranch that could be thousands of acres. For the average home, you would generally own the land encompassed by your home and front and back yards. The value of your home would then be calculated as the value of this land plus the cost to rebuild your home on it, less depreciation through wear and tear. This approach is used more for new homes where the cost to rebuild the structure is known. It would also be used where no homes have been sold to enable the following approach to be used. Fundamentally, your appraisal will be based upon the value of similar homes in your neighborhood. Appraisers refer to these homes as being ‘comparables’ which have been sold within the last 180 days. Comparables, or ‘comps’ as the professionals call them, will be around the same size as your home, with the same number of rooms and amenities, and they will be located within a half mile from your home. The comparison takes into account the number and areas of the rooms, their layout, condition, lot size and relative age. The appraiser will estimate the value of your home based upon that information. For example, if your home is exactly comparable in size to another nearby that sold for a certain figure a month ago, but you have a slightly larger lot and your home is better maintained, yours will be appraised higher than the selling price for that home. To use this method of home appraisal, your appraiser will be looking for at least three comparable properties that have sold within the above time scale. If there have not been three, then fewer will be used and likely the Cost Method will also then have an impact on your appraisal. The costs for a home appraisal will be paid by the borrower. It will be you if you are appraising your own home for refinance purposes or if you are buying a home. In spite of who pays, the appraisal is owned by the lender or mortgage company. To summarize, then, a home appraisal is needed by anyone buying a home or borrowing money on their own home. A residential real estate appraisal is largely based upon the selling prices of comparable homes in the same area, although land and rebuilding costs can also be taken into consideration. The following 7 tips for going solar should help you decide if solar energy is suitable for your home or whether the economics are unfavorable. This type of seemingly free energy looks very attractive at first glance, but there are some factors that might count against it and others that could render it extremely attractive. 1. How Much Sun Do You Get? There is little point going solar if you rarely see the sun! Or is that in fact true? How much sun do you actually need in order for solar energy to be viable? The amount of sunlight and the pitch of your roof are both important, so let’s consider sunlight first. Ideally, you should have a roof that is exposed to full sunlight for at least six hours daily, generally from 9 am to 3 pm when the sun is at its best for this purpose. A good tip is to adjust your solar panels differently for summer and winter. North America receives more energy from the sun during summer months, and less in the winter – so your electricity output will vary accordingly. You can do nothing about that. The ideal angle for solar panels is dependent on your latitude. Ideally, you should change this angle four times annually, although any are fixed and some are difficult to change and people do so only twice a year – summer and winter. There are formulae available online that lets you calculate your idea angle. If we take Seattle and Miami as two examples, these cities are at latitudes of 47.6 and 25.5 degrees respectively. The best compromise on the angle for fixed panels that cannot be changed is 39 degrees in Seattle and 22 degrees in Miami. Where they can be changed twice annually, the summer and winter angles for Seattle are 23 and 61 degrees, and for Miami are 3 and 43 degrees. Summer is said to begin on March 30th for this purpose in the USA, and winter on Sept. 12th. So, just fixing your panels flat to a pitched roof is not good enough yet that is what many people will do. It is far more effective to fix them to moveable frames in your backyard, although you would be sacrificing garden space for energy production. If you have the resource, then the best choice is a sun tracking system. These follow the sun’s movement and so direct the maximum solar energy to the photovoltaic cells for maximum energy production for your home. They are naturally more expensive than fixed or even adjustable mountings, but consider that against the savings in electricity. Not all solar panels are equal, and if you intend purchasing, make sure you do so from a reputable company that is still likely to be in existence in 20 years time. There are many new companies arising in the Far East offering cheap solar panels, but their quality is unknown as is their ability to endure over the years. A lack of spares in a few years could mean you having to buy a new set of panels! Finally, do the math and work out your prospective saving. If the cost outweighs the savings in your latitude then leave it. However, you might qualify for a rebate or grant to help pay the installation cost. Some countries are offering financial incentives to install this type of clean renewable energy – so check out what you might qualify for. Solar power or solar energy – call it what you want – is a good way of producing cheap electricity for your home, and depending on where you are, you may be paid for feeding your excess into the grid. 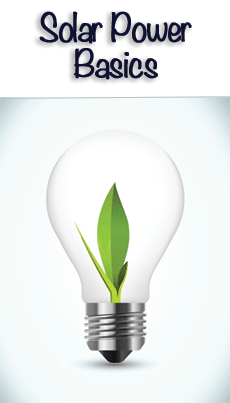 This is a clean form of energy, and increasing numbers of people are installing solar panels worldwide. Smooth top stoves have a modern look to them, and the term encompass both glass and ceramic topped cookers. Many love them while others hate them, so what are the pros and cons of a smooth surface stove in comparison with regular electric cookers? Nobody can dispute the elegant and sleek, modern look of a smooth top stove with its glossy black glass or ceramic hob. They look smart and chic in comparison with regular electric rings and their relatively ugly drip pans. The regularity of color is another benefit, and many people will do anything to get away from the traditional white stove in their kitchen. Ceramic top stoves are easy to clean – we shall use the term ceramic to include glass here. Once the hob has cooled down it is simply a matter of cleaning up spillage with a damp cloth. There is no trying to get beneath the electric rings to clean up properly – smooth top stoves are exactly what they say they are! There are no crevices, nooks or crannies for liquids to run into – just a smooth flat surface! A sponge scratcher is genuinely all you need to get the ceramic hob perfectly clean. A ceramic hob can be used as extra counter space. Perhaps not for preparing food, but certainly for plates and serving up food. In fact, you can cook on one ceramic burner, and serve directly onto a plate sitting on the cold burner beside it. This saves transporting hot pans from the stove to the counter, and in this respect the ceramic hob is safer than a regular electric cooker. This could be the most or least important disadvantage of smooth top stoves depending on your point of view. It is certainly true that once the redness disappears it is impossible to tell if the surface of a ceramic hob is hot or cold – but the same is true of a regular stove. 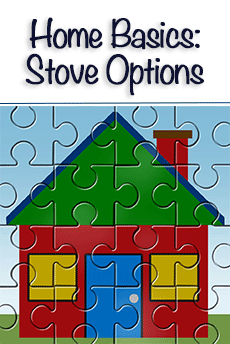 The difference lies in the fact that it easier to place a hand on the surface of a regular stove, since the whole top is flat – unlike an electric ring where the cooking surface is obvious. Yes, most show a red light when the hob is still hot, but it is still easier to burn your hand. Most smooth top stove surfaces are liable to be scratched or damaged if you drop a metal pan on it. Replacement costs are not cheap, and in some cases it is not much more expensive to simply buy a new cooker. They are not delicate as such, although you should be careful how you clean them. There are special glass and ceramic cooker cleaners available that give them a deep shine, and you can use special scrapers to remove burned-on deposits safely without damage. Pots and pans should have smooth bottoms, since rough bottoms can scratch the surface. It is this intimate contact that improves the heat transfer properties of ceramic hobs. Aluminum pots are not recommended, since the aluminum can mark the surface, and painted enamel pans can stick to the top at higher temperatures. Not all such stoves are the same, and they are also available with a smooth stainless steel finish. Some forms use the principle of magnetic induction to heat a magnetic pan, rather than the radiant and conducted heat used in regular ceramic cookers – although they are not inexpensive, costing several thousands of dollars. Their main benefit is more even and faster cooking, though not all foods respond well to quick cooking. Another benefit is that induction stoves only heat the pot – not the hob, which you can touch without burning your fingers. This makes for improved efficiency, since no heat is lost between the hob and the pan. All of that said, however, the most attractive property of ceramic hobs or smooth top stoves to the majority of users is their glossy, flat top which is so easy to clean. Home disasters do happen, and preparing your home for a disaster is a worthwhile thing to do. Your geographical location and history will give you an idea of the type of incident you may experience, so don’t prepare for a flood on top of a mountain! That might seem facetious but you would be surprised at how some people fail to think when considering disaster preparation. If you live in the Western states you might experience earthquakes, and in coastal regions tsunamis are not impossible. Tornadoes are common in central areas of the USA and hurricanes in the southeasterly and Gulf states. However, there are also certain problems that can occur anywhere, such as storms and floods (other than at the top of that mountain!). Here are some tips on preparing your home for a disaster, and dealing with home disasters in general. The above comments are just a rough guide. FLASH (Federal Alliance for Safe Homes) provides an online map identifying the main risks for each state in the USA. You must understand the nature of your likely home disasters before you can make preparations, and you should also establish the extent to which you are insured should certain natural occurrences cause damage to you, your family and your home. Can you do anything to reduce the damage to your home and improve your chances of survival? Is your roof secured, for example, and would hurricane straps help? There are steps you can take to reduce the chances of that happening. Do you have a safe cellar that will not flood should you have to use it? Do you have any other form of safe room? Brace your end walls so they do not blow down, and install safety shutters and reinforced glass in your windows. Do not do this yourself – all of the above work is best carried out by a professional. Compare the cost of that to the cost of a new home if you query the expense. Some insurance companies will refuse to pay out if you have not taken the basic safety steps. When preparing your home for a disaster you must get yourself a disaster safety kit together. Make sure you have a fire extinguisher, a means of emergency communication (cell phone or battery radio,) and a flashlight with spare batteries. A first aid kit with antibiotics is essential as are emergency food and water. Buy a water filter that purifies flood water. A tool kit should comprise a knife, axe, hammer and can opener at minimum. Rope might also be useful, and an inflatable boat might be a good idea. Also make sure you have a full list of the contents of your home – you could arrange for that to be held by your insurance company. An emergency phone number list might also be useful (police, doctor, hospital, fire station, local authorities) as will a bag with clean, dry clothes packed in a plastic bag. These should be stored in an agreed location, so that every member of the family knows where they are. Spare house and car keys could also be included along with essential supplies for your young children if any. Create an emergency plan and make sure that all family members know it in their sleep! The plan could include where to meet if separated – including in the home, close to the house if that becomes necessary and a meeting place should it be necessary to abandon the area altogether. Each family member should know how to close off utilities such as gas, electricity and water, and in certain areas where home disasters are liable to occur, each should receive instruction in emergency CPR. Make sure everybody understands the plan, and how carry it out. “It cannot happen to me” is a common saying, but the sad fact is that it can – and it does! Preparing your home for a disaster might keep your family together – and alive! 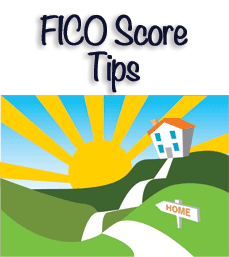 Your FICO score, named after the Fair Isaac Corporation that established it, is a measure of your credit worthiness. Since it is used by most lenders to decide whether or not to offer you credit, and if so at what interest rate, it makes sense to do whatever you can to improve it. Here are three tips to help you improve your FICO score, and with it the potential for you to be offered loans or credit at relatively low interest rates. These tips provide information on some important steps you can take, but are not all that can be done. They are therefore followed by a few other things you can do to improve you credit score even further. Get a copy of your credit report and scrutinize it carefully. This report contains the raw data used to calculate your credit score, and if it contains errors, then your FICO score could be artificially low. Apply for copies of your records from the three main credit reference agencies, Experian, Equifax and TransUnion. Make sure you understand all the credit you have, and what the report is saying about your repayment history. If you come across any errors, or records you believe to be inaccurate, then contact each bureau and have the records amended. For example, other people may have been staying with you at some time (ex-partners, friends, lodgers, relatives or even your own children) whose credit records are still registered with your address. You have a legal right to have them removed. Make sure that the amounts registered that you still owe are accurate, and that no late payments have been wrongly entered. The credit records of most people are believed to contain at least one error that could affect a FICO score. You can improve your credit score by taking steps to reduce your debt. It might not be easy for you, but you can make a start by stopping using your credit cards if you still have them. Don’t cut them up, but simply stop using them. It is better for you to still have live cards that you are not using than to cancel them. Make a point of always making repayments on time: figure out how much money you need to make at least the minimum payments, and budget your expenditure to include these sums. If you can maintain payments to each of you creditors, then your FICO score should not drop – and might even increase. Also known as your utilization ratio, this is the ratio of your expenditure to your available credit (your spending limit). For example, if your credit and store cards have a combined limit of $50,000 and you have spent $30,000 of that, then your utilization ratio is 60%. If you have a credit card you have not used for a few months, make a payment with it. Card issuers tend to stop reporting activity of such cards to the credit bureaus. By reactivating a card you have rarely used, your utilization ratio will likely improve and so might another relevant factor: the length of your credit history. You can reduce your credit utilization ratio even further by increasing the credit on your cards. If you have not had any serious problems with your bank or credit card issuer, then a simple phone call might enable you to increase you credit limit – from $5,000 to $7,000 for example, or even more. This will immediate reduce your credit utilization ratio, and so also increase your FICO score. While these three factors will definitely have a positive effect on you credit score, there are other things that you can do to improve it even further. If you have more than one card, split the balance between them all so rather than have one card maxed and another at 25%, make them both at 50%. The more credit cards you have, the easier this will be to do. If you have a low FICO score, do not take some advice you may be given to apply for new credit to reduce your utilization ratio. This will likely work against you. It is possible to become an authorized user on somebody else’s credit card, such as a family member but not use it. It might work, but it is better if you can improve your credit score without doing this. You can improve your FICO score by correcting any errors in your credit record, or credit history, and then by following the advice offered above. It will take time, but it is possible to improve your credit score by demonstrating that you are improving your financial situation in a progressive and sustainable manner. You are moving home and moving day has arrived. You’ve hired the mover, changed your address with the postal services and subscriptions, got your moving insurance sorted and the packing has gone smoothly. What can possibly go wrong! Here are some tips to make sure that your plans are not derailed, and that moving home runs as smoothly as you could have hoped for. Make sure that the mover’s truck has plenty room to park close to your front door, and that the movers are not obstructed when carrying heavy items. Inform your neighbors so they leave as much space as possible. If you live in a city apartment, contact the local authorities and find out about permits for reserved parking on moving day. Most will offer a means of facilitating your move, but if not then you could park your cars there or even ask your neighbors to park in the relevant space and then move when the truck turns up. Don’t forget your new home – the mover will also need parking space here, so the arrangements made for your old home should also be applied to the new. It often pays to meet the new neighbors before your move, so that they will be more amenable to helping you out with the parking space needed. It is important that you are present while your belongings are packed into the truck, and also when they arrive at your new home. You never know when a problem might arise, and you will want to carry out a final check before you leave your old home for the last time. Are all the lights switched off, electricity and gas shut off and windows properly closed and locked? It is not unknown for your back or front doors to be left open, or unlocked once the last item of furniture and the last box has been packed. You should be there to give yourself peace of mind. Check every closet, cupboard and shelf, and don’t forget the garden, backyard or shed. The attic is another area of your home where people tend to leave things behind. If you have a partner, the deal situation is to have your partner waiting at your new home for the mover to arrive, while you remain at the old home to check everything is OK and clean up after the mover has gone. 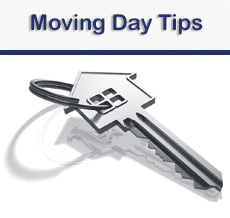 It is best for the kids to be with a friend or relative while moving home. Alternatively, they could be with your partner on moving day, waiting in their new home for their belongings to arrive. It’s a good idea to let them help unpack their own stuff for their room. They are more likely to enjoy moving to their new home if they are permitted to carry small items and generally be involved. Pets are another thing entirely, and a move can be very stressful for pets that are being taken away from their normal environment. New smells, other creatures and even the territorial marking of their new home by other cats and dogs! You might consider boarding them until you have your furniture set up again – this will help them to feel more secure. Finally, be prepared to give your old home a final clean up. Don’t send off all your brooms and cleaning materials to your new home! Moving day is stressful enough, and knowing you have left a tidy clean house behind you will make moving home just that little bit less stressful. Visiting real estate open houses can be useful to homeowners for a number of reasons, even if they are not thinking of selling their own home in the near future. Here are three reasons why visiting open houses can keep you abreast of what is going on in the housing market in your neighborhood – or even outside of it. More and more people are becoming actively interested in how much their home is worth. This is connected with recent and current financial fluctuations, and also with the availability of financial and real estate information in the computer age. People are not only becoming more aware of finance and the value of their assets, but also in how to increase that value. By visiting open houses, you can check out the selling price asked for homes in your neighborhood that relate closely to your own home in size and amenities. By comparing their homes with yours, you will be able to estimate the current worth of your investment. That information could be useful to you in a number of ways, such as how much of a second mortgage you can get, or how much of a secured loan you can get for that cabin cruiser you have your eyes on. Perhaps you are considering redesigning your home, or even changing the décor in just one room. It is much easier do this if you can find out what others are doing in homes similar to yours in dimensions and design. By visiting real estate open houses for sale in your area that are close to yours in size and design – perhaps even identical – you can get seem great home décor and furnishing ideas. Not only that, but the agent selling the house might give you details of the contractors that carried out the work- or the current owners might want to boast about their beautiful room and who designed and decorated it. Maybe you are considering selling your own home. You can find out how others are staging their homes for sale, even if they are of a different style and in a different neighborhood. It’s one thing getting such ideas online, but something else entirely seeing them applied in practice. You can assess the WOW! factor of any home staging work carried out, and establish whether or not that would help you get a good price for your own home. What did they do to their front garden, their doors, windows and external furniture and fittings? A free look costs nothing but your traveling costs, and can add thousands to your selling price. 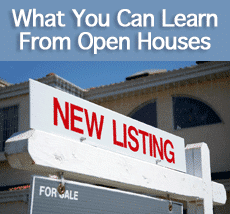 Real estate open houses offer several benefits to homeowners, even if they are not currently considering selling. You can get an indication of the current commercial value of your own home, you can check up on how others are decorating theirs, and more importantly if you are selling shortly, you can check up on the staging that others are using. 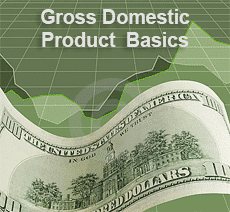 The following GDP basics explain what the term GDP means and how it is calculated. The GDP is the Gross Domestic Product of a country, and is a metric that is used to measure the health of the economy of that particular country. It is fundamentally a measurement of consumer and government spending, the difference in value of exports over imports, and industry investments taken over a specific time period – usually one year. The Per Capita GDP is the same figure calculated to take a country’s population into account, rather than comparing the nominal figure. This permits the figure for two counties to be compared accurately, irrespective of population. Another form is the ‘real’ GDP, which takes price increases and inflation into account when comparing different years. Every cent spent by American consumers forms one component of the GDP. So if you purchase a new car, a washing machine and tour Arizona, all the money you spend goes towards the calculation. What you earn is irrelevant – it is what you spend that matters. Spending on services such as life insurance and hair styling is also included. If the firm you work for buys a new fleet of cars, new manufacturing plant or even raw materials to be used in manufacturing, then that is also added to the figure. Industry investment can be high, which is why the health of a country’s manufacturing industries is so important to its GDP. The same is also true of service industries, such as insurance, banking and vacation companies. The difference between the value of total imports and total exports to and from the USA also contributes. If a company purchases $1 million of raw materials from China and exports $2 million of product to Germany, then $1 million is added to the GDP of the USA and China, and $2 million deducted from that of Germany. The government gets its money from your taxes. Every cent spent by the government for whatever reason is added to the GDP. It makes no difference if such expenditure is for pencils or space shuttles – it is government expenditure. The above expenditure method of calculating the gross Domestic Product of a country is the one most commonly used. It can also be figured by taking the gross income of every employee in the country, all taxes paid and the gross profits of all companies. The two will roughly approximate each other, although the expenditure method is easier to use and less liable to error. Factors that have no bearing on the GDP include taxes (it is government spending using those taxes that count), gross and net income and interest payments made to you. What is the GDP Used For? This measurement is used by American and world banks to determine the health of a particular country’s economy, and is a key indicator for setting interest rates. Thus, if the GDP is rising too fast year on year, then interest rates might be increased to control industrial investment. Too rapid an increase in the economy can result in inflation and rising prices. Since the Gross Domestic Product is an absolute rather than relative figure, larger countries will have a higher figure than smaller countries. Therefore, as explained earlier, it can only be used to compare results with other periods. In order to compare the health of the economy of different countries, it is necessary to use the per capita GDP – fundamentally by calculating the figure for each individual in a country, such as GDP/population. This is simplified, but explains the concept that is use by bodies such as the IMF and the World Bank to compare the economies of different countries. If the Gross Domestic Product of a country has dropped over that of the previous year, then banking interest rates might be held, or perhaps even reduced to give a boost to the economy by making it cheaper for firms to invest in equipment and infrastructure. A steady reduction can herald an oncoming recession and will also affect the stock markets. Negative growth results in a lowering of share prices, so it is little wonder that the real or per capita GDP is a measurement that all financial analysts keep a close eye on. Up or down, trends can cause changes in the stock exchange, in interest rates and even in the money supply and house prices. Although the above GDP basics offer an insight into what the Gross Domestic Product is, no basic introduction could convey its importance to governments and financiers. How does refinancing work in terms of refinancing a mortgage? 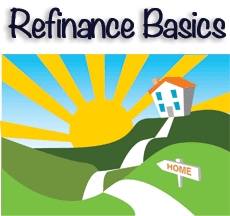 If you want to learn how to refinance a mortgage it is first necessary to understand the term. Fundamentally, it means that you are replacing your existing mortgage with a new one in order to get a lower interest rate or cash-out when you close your current mortgage. You might take a mortgage on your home and happily continue repaying month after month for years, and then see the opportunity to get a different mortgage at more attractive rates. You must then close you current agreement, and start up a new one – either with the same lender or a different one. Generally, if you make this decision, your current lender may offer you a better deal in order to retain your business. You are then in a negotiating situation. There are several steps involved when you refinance a mortgage. Fundamentally, you are applying for a completely new loan, rather than changing the conditions of your existing mortgage. You must therefore go through the entire process of applying for a mortgage as if you did not already have one. Your credit record, credit score and credit history of repayments. Your lender will check with Experian, Equifax and TransUnion, and make an assessment of your credit-worthiness. If you have missed a few mortgage payments in the past, this will count against you, but not significantly if you have quickly rectified the situation. Your employment history will be checked, along with your current income to check the affordability of the mortgage you are seeking. You must have a good record of continuous employment, with no rapid changes of employer. If you are retired and are seeking a better deal for your mortgage, your retirement income and assets will be investigated, and the lender will make sure you have sufficient income and reserves to meet your mortgage commitment. Sure, they will take into consideration that you have already paid off a good proportion of the principal sum originally borrowed, and your repayment record to your existing mortgage account will be taken into consideration, but all of the above must still pan out to your advantage as it would have to have done when you were granted your first mortgage. Rate and term refinance is exactly what its description suggests: you can change your old mortgage for a better new one, with a more favorable interest rate or term, or even both. You are not changing the amount you still owe, but you can switch from a 30 year a 15 year fixed rate agreement for example. Alternatively, you could change the interest rate from 4% to 3% – a 30 year mortgage at 4% to the same term at 3%. You can also achieve both: you can switch from 30 years at 4% to 20 years at 2%, and end up paying much the same, but over less time. With such mortgage refinance agreements closing costs can be added, and you cannot increase the mortgage principal by more than $2,000 or 2% of the new mortgaged sum, whichever is the lowest. With a ‘cash out’ refinance deal, you can either combine a first and second mortgage on a property, consolidate your debts by combining them into your new mortgage, or receive cash in your hand at closing to be combined into your new mortgage agreement. With this type of mortgage refinance, you can walk away with cash in your hand (without the 2% restriction) based on the equity of your home. You would usually need to have a good credit record with a high score to get this type of agreement, and they are usually offered only on lower loan sums where the bulk of the principal has been cleared. However, you have to repay the cash as part of your mortgage, and your equity is reduced correspondingly. Sometimes borrowers have saved or inherited a cash sum that can be used to reduce the principal on their mortgage. By making a cash payment, this type of cash-in refinance enables them to get a lower interest rate on the balance owing, or reduce the term to completion. By reducing the loan-to-value ratio on your home to 75% as opposed to 80%, you will be able to get a better interest rate. There are also benefits to be had with respect to mortgage insurance below 80% LTV you would normally pay no private mortgage insurance. If you are not sure which of these various types of refinance works, require more information on how to refinance a mortgage or would like more details on the best way to release some of the equity on your home, then check out an independent financial advisor who will give you good advice independent of any specific lender or bank. There are several reasons why you might want to sell your home quickly. Perhaps house prices are falling, and you want yours to be sold before prices fall too much in your area. Maybe housing demand is falling and you want yours to be more attractive than most in your neighborhood. Perhaps you are desperate to sell, because you have a new house in mind, but have to sell yours first. You could even be moving abroad shortly. We shall discuss each, and what is needed to maximize the impression potential buyers get when they arrive for a viewing. The first thing a potential buyer will see is the exterior of your home. How does it compare with the other houses in your neighborhood? Does it impress at first sight? Is anything wrong, such as flaking paint, an unkempt garden with long grass and weeds, and does the gate close properly? Spend some time improving the exterior appearance of your home. Repaint anything that can be painted: window frames, doors, fences, the gate and so on. If you have the cash, replace old wooden windows with modern double-glazed uPVC windows. Manicure your lawn and the hedge, and pull out all the weeds! When you are finished, stand back and look at your house subjectively. How does it look to you – would you buy it if you were starting all over again? Get a friend or neighbor to look it over and give their comments – and then act on them. Declutter! Make sure you remove the clutter in every room. A room filled with your belongings looks smaller than it really is. Allow you prospective buyers to imaging themselves in each room with their own belongings – they can’t do that if most of the floor space is being used! Include closets, because your viewer will almost certainly want to see inside them. Remove all that old stuff, clean them out and brighten them up. Go through your entire home and remove everything that is not needed to show it off to its best advantage. Maybe you can hire space in a repository, or perhaps a friend or relative will give you attic space meantime. One thing is sure – if your home is full of clutter you will be unlikely to get a sale, let alone sell your home quickly! Make sure your house is spotlessly clean. If it is not, your prospective buyers might believe that they will have to clean it if they purchase it. Either do it yourself, or employ a professional cleaning firm to do it for you – that is the best option. Everything must be in good working order. Check your whole house, including the backyard and front garden. Make sure there are no dripping taps or broken light bulbs, and if you have a pond or fountain, everything should work as intended. Every window should open if designed to do so, and locks must all be in order, including gate locks. If you want to sell your home quickly, it is essential that it looks good, both externally and internally. Redecorating and cleaning will pay in the price you get. However, it might also be worth your while employing a specialist staging company to stage your home for the sale. Do all you can to sell your home before the viewers even arrive, and then be prepared to act positively on any negative comments the first viewers make. If they comment on your grubby brown garden fence, paint it white for the next viewers. As a final option to help sell your home quickly, have a concession you are willing to make at closing and you should successfully sell your home in the time frame you have set yourself.